'L'Allegro' was Mark Morris's premiere work as Director of Dance at the Théâtre Royal de la Monnaie in Brussels, Belgium in 1988, and has since been performed to critical and audience acclaim all over the world. Winner of numerous awards, including a Laurence Olivier Award, 'L'Allegro' uses Milton's text and features sets inspired by William Blake's later watercolours. 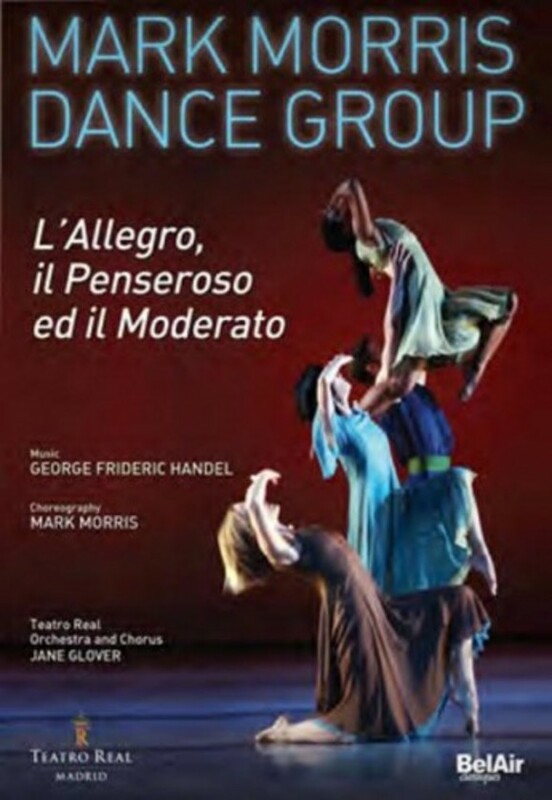 Founded in New York City in 1980 by Morris, the Mark Morris Dance Group (MMDG) is considered one of the preeminent modern dance companies, its members praised repeatedly for their technique and their musicality. Live music and community engagement are vital components of the Dance Group, which has toured with its own musicians, the MMDG Music Ensemble, since 1996. Through Access/MMDG programming, the Dance Group provides educational opportunities in dance and music to people of all ages and abilities while on tour internationally and at home at the Mark Morris Dance Center in Brooklyn, NY. The performance was filmed in July 2014 at the Teatro Real in Madrid, Spain.